Built 1894-1897. 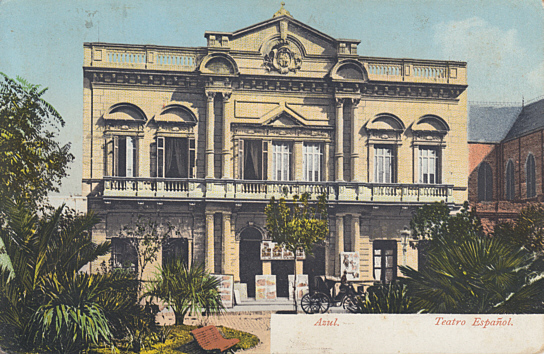 Opened 16 Jan 1897 with Ruperto Chapí's zarzuela "La Tempestad". Closed 1976 due to safety concerns. Re-opened after a major renovation on 12 Oct 1992. Front Text: "Azul. Teatro Español."